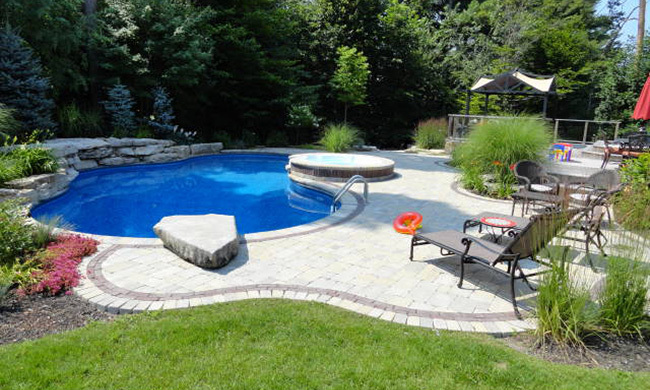 This pool project has it all! Waterfall, spillover spa, gas firepit and a new deck rebuild. A real showpiece!